Seems to be working for me, have you updated to the new tapatalk ? could anyone tell me about it? 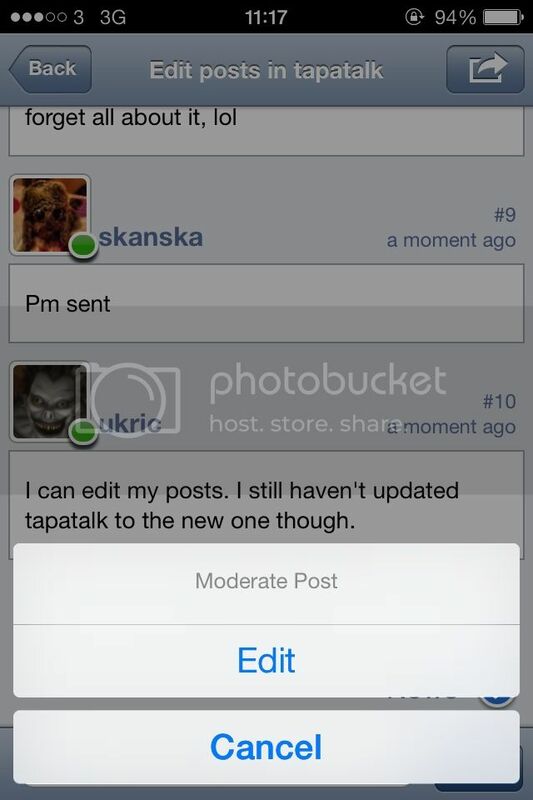 Tapatalk is a app for android or iphone you can have all your forums in one place to save you doing it on your browser. 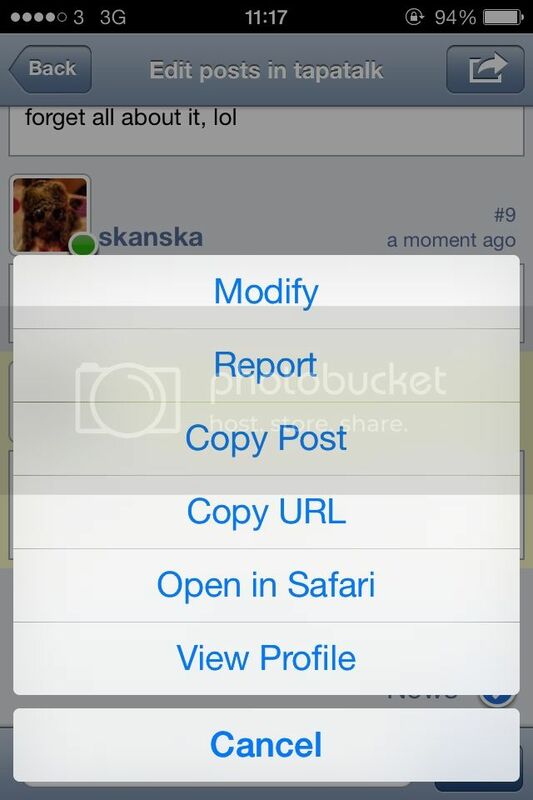 You can easily change from one forum to another within the app. No same here I can post but the edit dose not update the post.its all down to each forums plugins they have to have the latest version of the tapatalk plugin. I will try another forum on this tablet now and come back. It will let me edit on ukv but not on here or liberty flights so it can't be the app. If you want to test your tapatalk app out join the tapatalk forum and test it out there that way you know if its the app or the particular forum all features shoud work on the tapatalk forum its a forum plugin issue. Hope that helps. I can edit my posts. 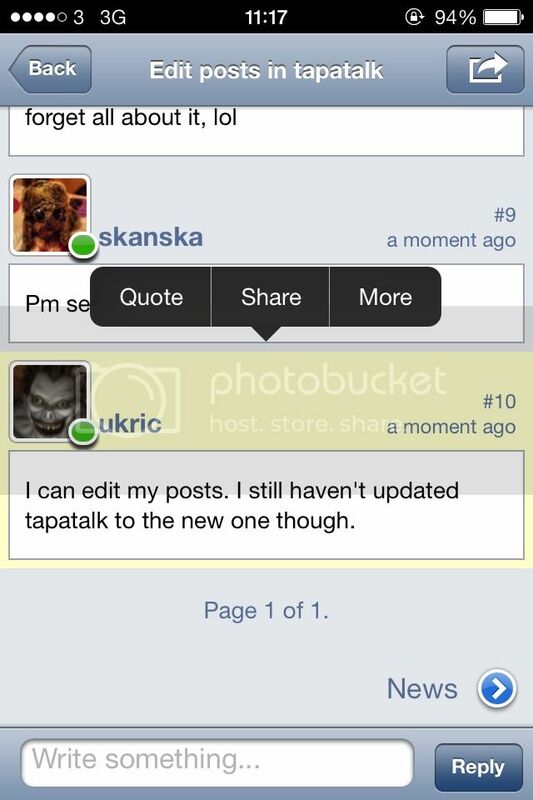 I still haven't updated tapatalk to the new one though. That's the original tapatalk am I write.